Treats, impromptu gifts and celebrating our love for each other pretty much sums up just about every day with Jasper, but on Valentine's Day I knew I wanted to take Jasper somewhere special. We attempted to meet up with our favorite guy in the city, but since he was too busy instead we went out to pizza for lunch, tried the new Salt and Straw in Ballard and then finished up with a little Valentine dinner shopping at Pike Place Market because what says "I love you" more than a fresh crab dinner?! Whether it be Jasper's eagerness to use his entire sheet of stickers upon receiving them or the pure joy plastered to his face while he was devouring his ice cream cone little moments like that made yesterday a good day. I have said it time and time again, but children just make every day and especially holidays all the more fun. 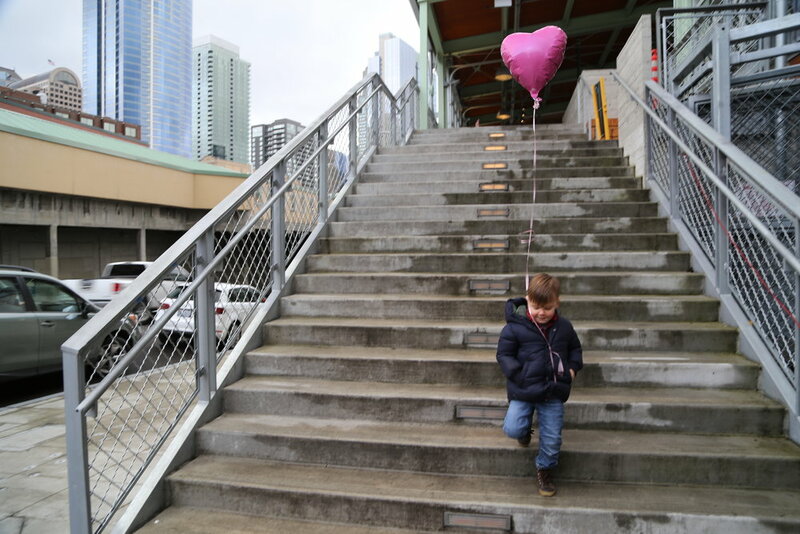 Even if you are not a fan of Valentine's Day watching Jasper walk around Pike Place Market with a pink heart balloon pretty much brought a smile to the face of everyone we passed by. 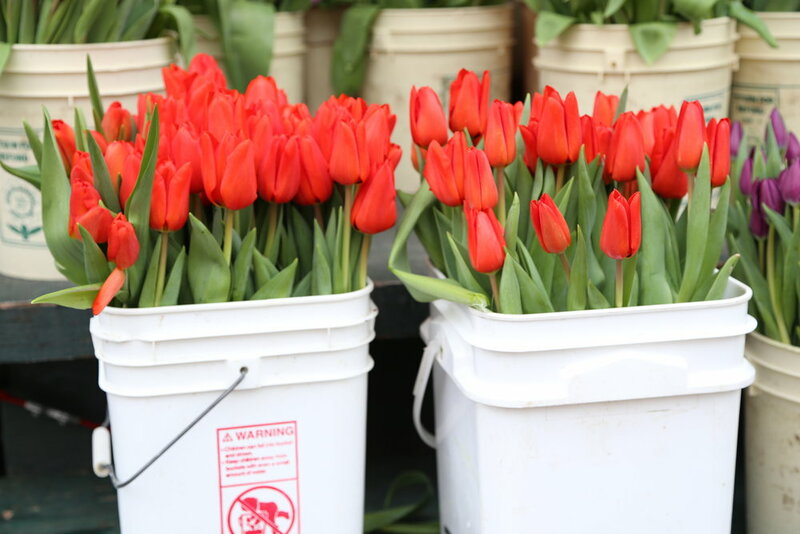 Flowers from the market are always a good idea. 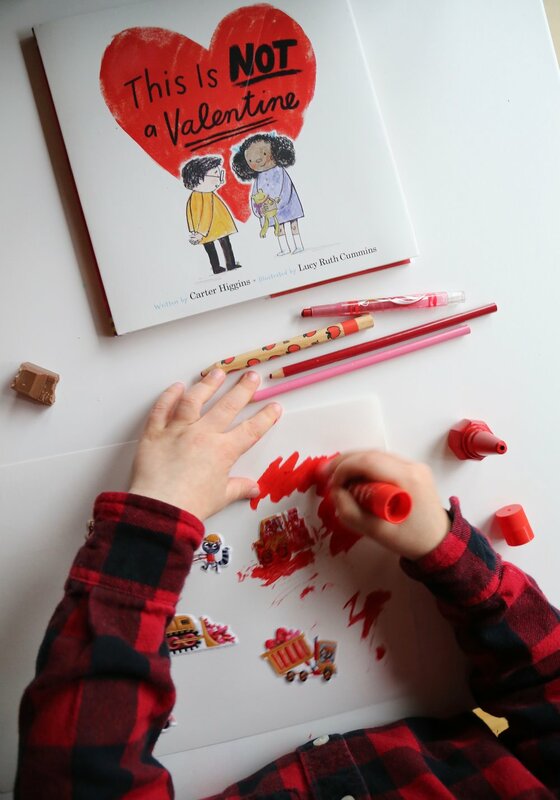 My favorite gift to give is always books and Valentine's Day is no different. Checking out the new Salt and Straw with no wait and no lines. I especially love a place where the employees are excited and even encourage you try more samples! 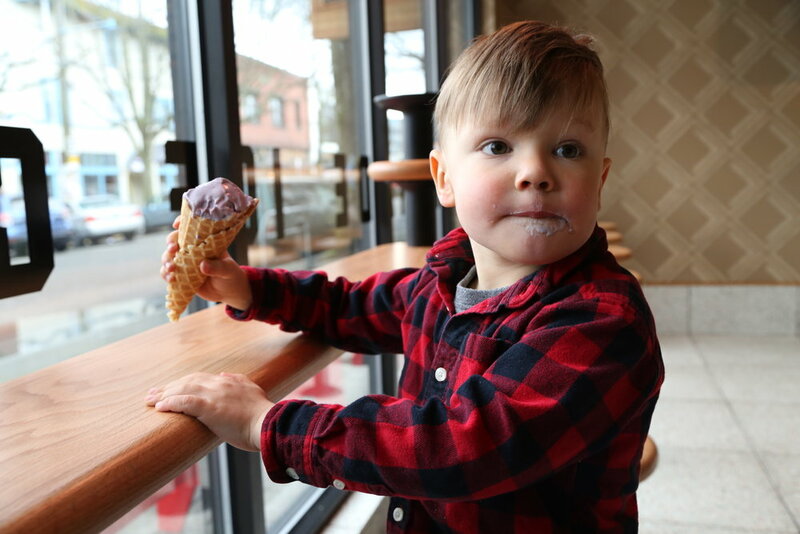 Before we walked through the doors Jasper knew he wanted lavender ice cream. Once inside, I was thoroughly relieved when it just happened to be one of their flavors. Cake, cookies, and even donuts have nothing compared to ice cream in Jasper's book. Ice cream is really Jasper's first true love. There is no doubt we will be coming back here again very soon, next time with our favorite guy of course. 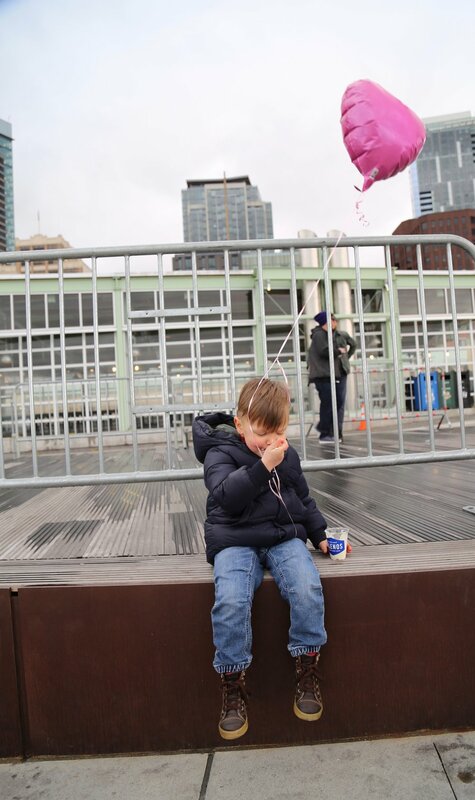 And continuing on our food adventure we made our usual stops at Beecher's and Ellenos at Pike Place Market. 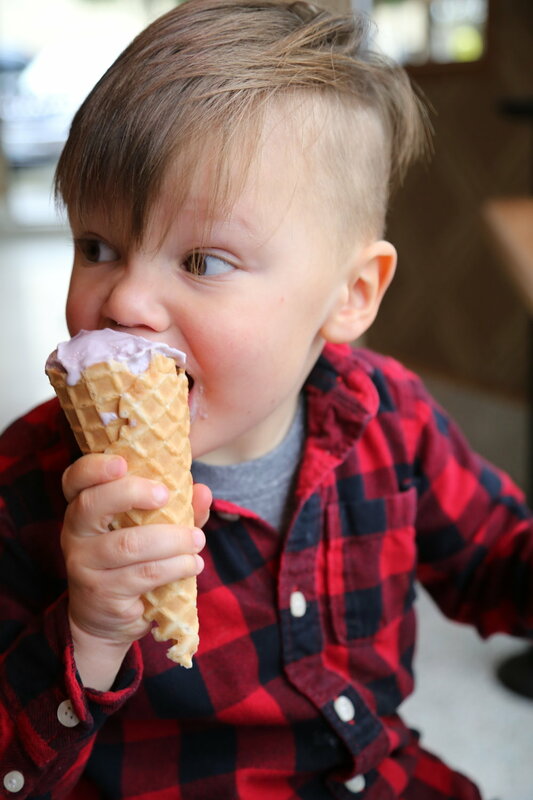 I was surprised after lunch and ice cream Jasper had room for yogurt, but his appetite and his metabolism seem to be on par with his father. Lucky guy! 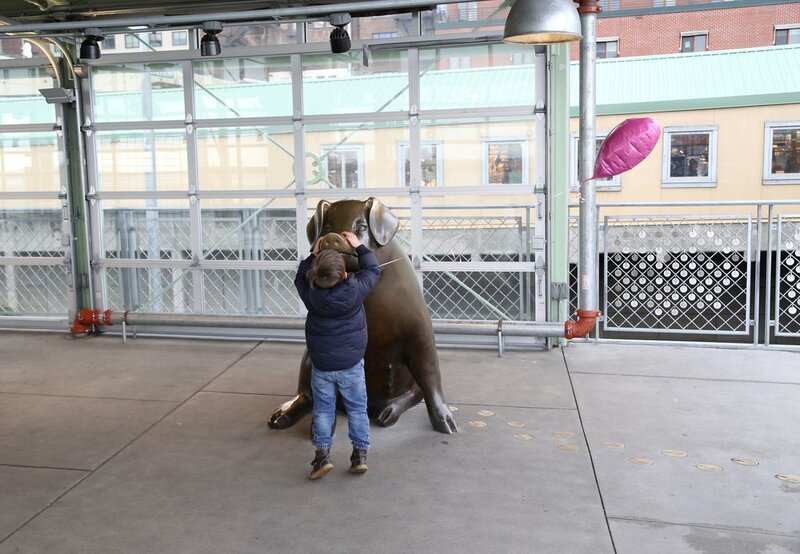 Everyone deserves a little love on Valentine's Day. And much to my horror Jasper started kissing Rachel the pig. Afterwards he was so proud of himself. Valentine's Day is really just a nudge to encourage you to openly share your loves for others. And if there is one thing the world needs it is more love.